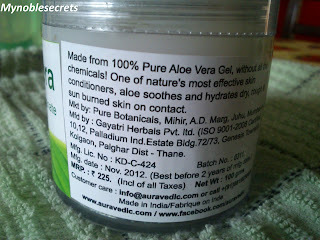 Made from 100% pure Aloevera Gel, without all the chemicals. 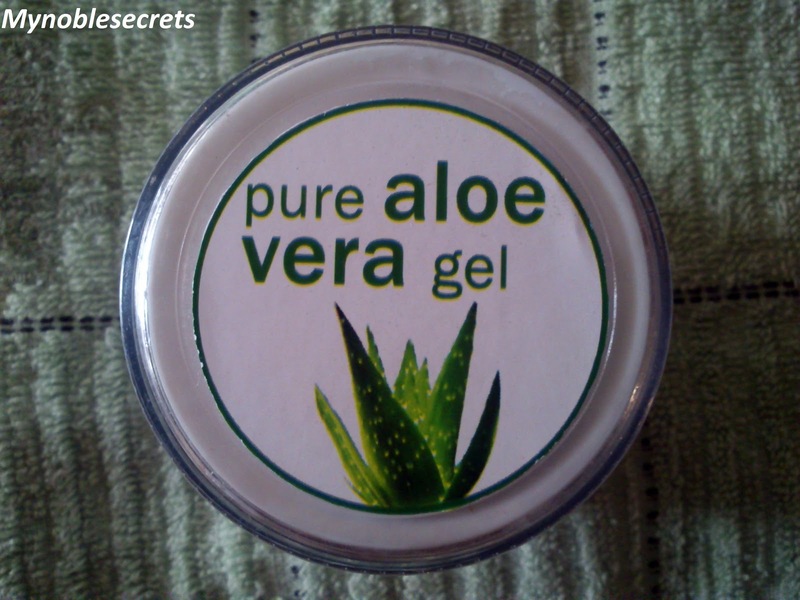 One of the nature's most effective skin Conditioners, Aloe soothes and hydrates the dry, rough and sun burned skin on contact. 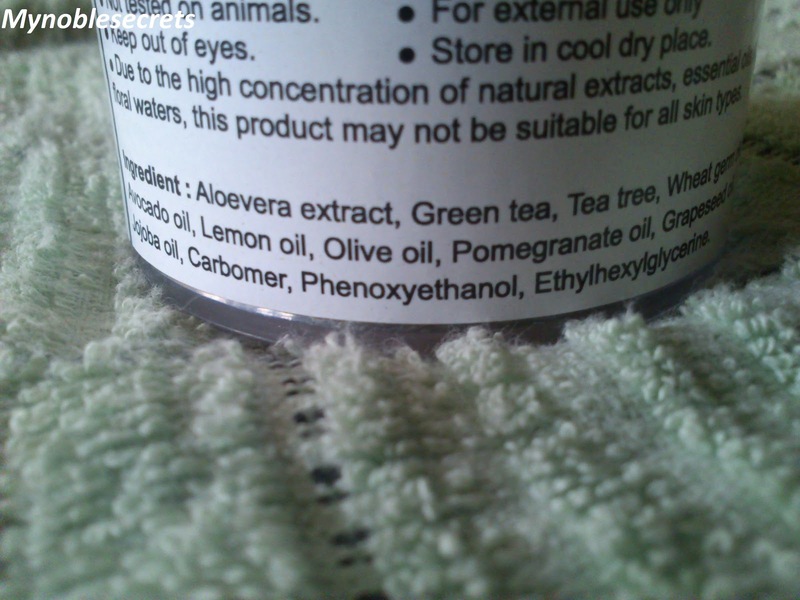 Aloevera Extract, Green Tea, Tea Tree, Wheat Germ Oil, Avocado Oil, Lemon Oil, Olive Oil, Pomegranate oil, Grape seed Oil, Jojoba oil, Carbomer, Phenoxyethonal, Ethylhexylglycerine. 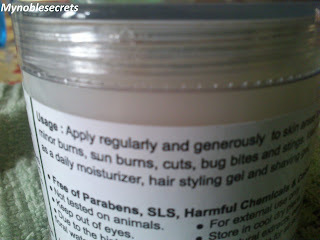 Apply regularly and generously to skin area to soothe minor burns, Sun burns, Cuts, Bug bites and stings. Ideal for use as a daily moisturiser, hair styling gel and Shaving Gel. Company requests us to do patch test before use. The packing is a transparent sturdy plastic tub and with a scroll type lid. The Gel looks in white colour and smells awesome. The lemon smell is the dominant in this gel. 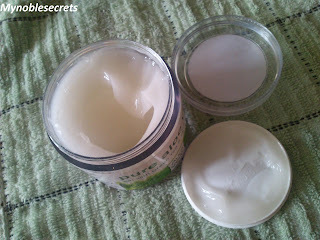 The texture of the gel is creamy and thick. Inside the lid there is a weightless top to cover the gel to prevent from getting messy. I am using for the past 3 days regularly, and the results are wonderful. It is doing great job on my skin. It is a non greasy gel and makes my skin firm and soft. It leaves no residue on my skin as some gel tend to peel after applying. It is absorbed by the skin in seconds. Gives a subtle glow, I like subtle glow very much. 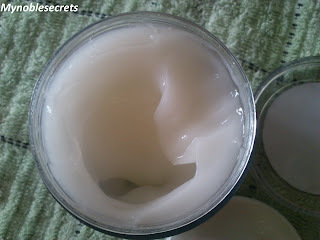 It calm down my irritated sensitive skin very well and soothes very nice. 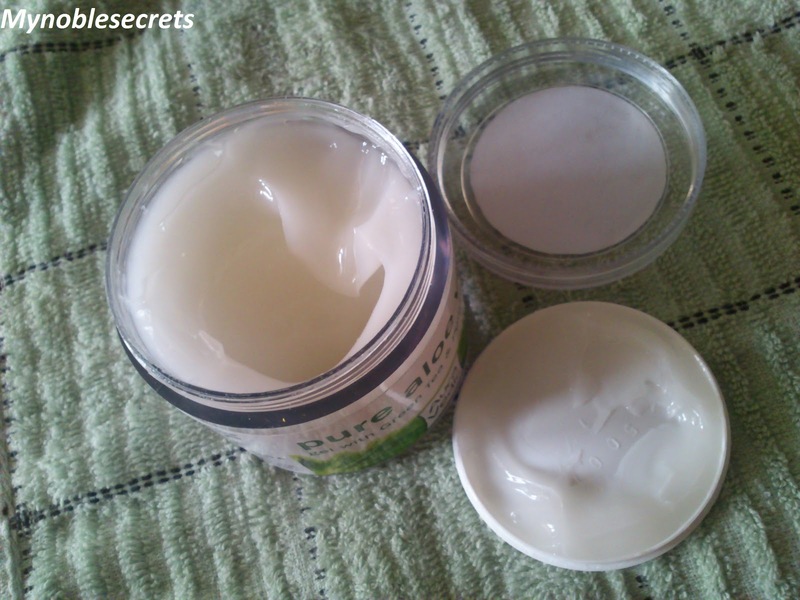 After applying on the skin it gives a cooling effect like a cool breeze passing your face. There is no doubt it will even out skin by regular use. I loved the smell it is very sweet. They said it can be used as hair styling gel. Yet to try as my hair is now not in condition to test at all. Also as after shaving gel, so gave some gel to hubby for applying. He told wow so cool I need it mine....hahaha. Now we both fighting for this gel and sharing :). 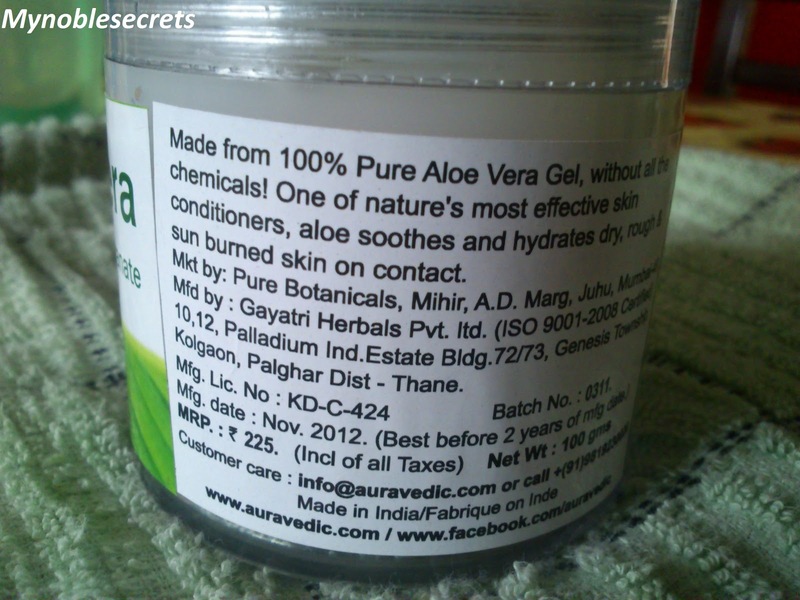 It is multipurpose and wonderful gel which I have never used, and fulfil my all desires. It is best for non greasy daily moisturiser. 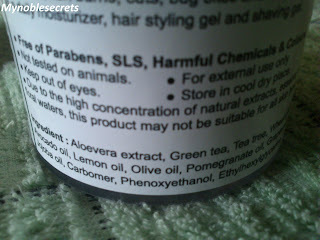 It is Free Parabens and harmful chemicals. It is Non Greasy Gel. It smells very good Lemon like smell. It smooths and soothes the irritated sensitive skin very well. It makes skin supple and glow. It makes skin Firm also. Won't peel off after applying. 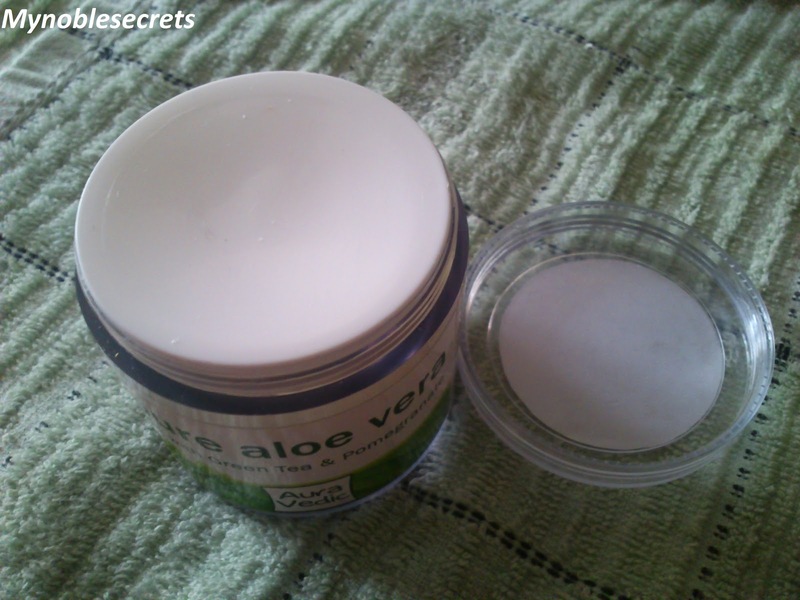 Easily absorbed and spreads on the skin. It is best gel for daily use. Company itself warns to do patch test. Again the packing is the problem for me, if it is tube it will be hygienic for all. nice... auravedic has some really grt products!! but this one looks more like a cream than a gel to me!! Thanks nandini for visiting my blog, I love your blog, Great work !!! this looks awesome..i think i am going to try it out for sure! I have not tried this brand yet. Let me too try this. Thanks Radha! Pure Aloe Vera gel has powerful detoxification properties and is proven to cure skin and stomach disorders. 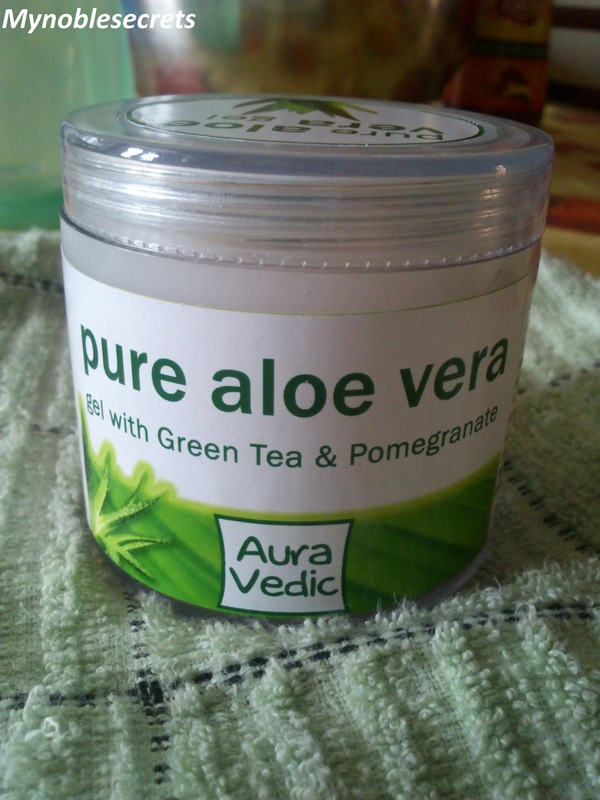 Daily consumption 20 ml pure Aloe Vera gel, twice a day revitalizes skin to give it more healthy and youthful looks. Great Review! !I love anything with aloe vera gel..wanna try it too!! Well-detailed review! The gel looks natural. Thanks. amazing content and nice layout! I Think I'm Gonna Get This! Rasa, I LOVE Aloe. Its like Magic!! !